Ma'aden's gold and base metals business is carried out through Ma'aden Gold and Base Metals Company (MGBM), a wholly owned subsidiary of Ma'aden. Ma'aden is committed to Corporate Social Responsibility (CSR) allowing us to contribute positively to the well being of our people, the environment, economy and society. 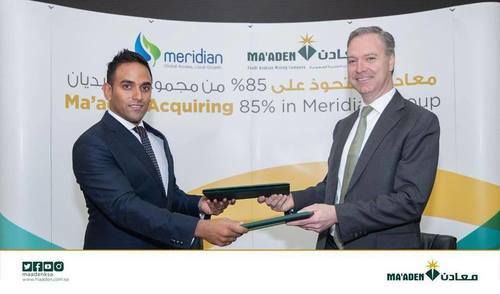 Ma'aden has adopted a balanced growth strategy to reach a value creation comparable with other global diversified mining companies. This part of the Ma'aden website aims to provide useful information for members of the world's media. We're building some of the world's largest and most exciting projects in phosphate and aluminium as well as expanding existing operations in gold. Saudi Arabia’s largest mining company, Ma’aden, will make its first international acquisition with the purchase of an African Fertilizer distribution company.